The Best Movie Fest Ever is Coming to Boca Raton, FL! No, really! 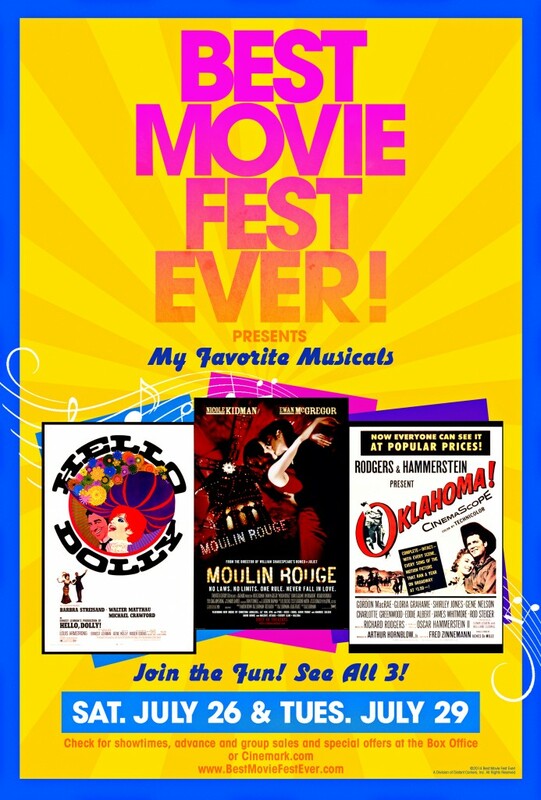 The Cinemark in Boca Raton, FL, along with other Cinemark theaters around the country, will be showcasing ‘The Best Movie Fest Ever,’ which features the three musical hits Moulin Rouge!, Oklahoma!, and Hello, Dolly!. This musical event will take place on Saturday, July 26th and Tuesday, July 29th. All three musical films will be shown back to back on these nights at Cinemark! There’s also a special treat for all you theater geeks out there: dress up as your favorite character from any of these musicals, and you can be qualified to win a special prize! For more information on the event, including other locations where the event will be taking place, visit their website!